Outdoor Playhouse Oregon: A Great Gift for the Grandkids! November is nearly here, and you’ve probably already thought about what you’re going to buy everyone on your holiday gift list. If you’re a grandparent, you want to get your grandkids something special, and if they live nearby, you might be thinking about something they can use or play with when they’re at your house. However, you may not be sure which toys they want this year, and you don’t want to get them another electronic device. If you’re thinking of getting something truly unique, why not build them a new outdoor playhouse? At Better Built Barns in Oregon, one of our custom sheds can make the perfect playhouse for your grandchildren. Your grandkids may have plenty of toys and devices, but a playhouse provides them with a place where they can imagine and create adventures of their own. They can pretend that the shed is a store where they can sell the crafts they make, or they can make it home base for an outer space exploration throughout the backyard. When given the space to imagine, you’ll be amazed at what kids can come up with! One of the best things about our shed options is that you can customize them however you want. You can choose the door, the windows, and the roof style, and the exterior color can be painted any hue you want. For the interior, you can add a loft, a workbench, and partition walls to create more rooms for fun and play. A pegboard can be a great option for grandkids who want to hang up tools, their NERF® guns, or any outdoor toys. This is a great way to keep the playhouse organized and clutter free. Once you’ve picked your shed and figured out when it will be delivered and built, you can look forward to revealing the finished gift to your family. 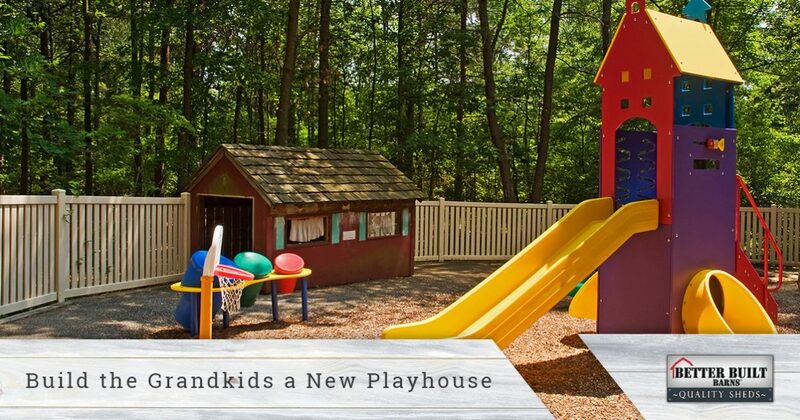 Once we’re on-site, we can have the playhouse built in just a few hours, and we’ll make sure everything is to your satisfaction before we leave. Even though it may be snowy on Christmas morning, you’ll be able to take your grandkids outside and show them what you got them this year. With our quality construction and craftsmanship, the shed won’t be drafty, and with the right heating solutions, the kids could even play inside on a cold December day! A new outdoor playhouse can be a perfect holiday gift for your grandkids, and if you’ve been thinking about the best way to go about getting one, contact Better Built Barns today. 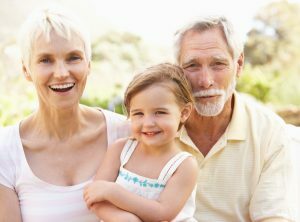 We have locations in Oregon, Washington, and Colorado, so if you’re in one of these three states and you want to get the grandkids something unique this year, we’re here to help. We’ll help you decide on the best model, as well as the exterior and interior finishes. Before you know it, the playhouse will be finished and your grandchildren will be having hours upon hours of fun.